Ready to get started at CrossFit405? That's great! Here's how. It's pretty easy to get started at CrossFit 405. Step one for everyone is to setup a consultation, which you can do by clicking the large yellow button on the top right of this page. If you have questions about pricing, how to get started, what On-Ramp looks like, or other questions, keep reading below. We have several membership packages available, depending on your budget and schedule needs. We have discounts available for students and active military, just let us know when you sign-up. If you and your spouse would like to join, mention that as well and we can discuss a package deal together. If you are new to CrossFit and ready to get started, here's what that process looks like. We love to hear about your current fitness level, goals, experience, and answer any questions you have about the CrossFit method and what it's like at CrossFit 405. This can be an in-person meeting or a quick phone call, whatever is convenient for you. To connect with a coach, click the big yellow button at the top right of this page and we'll reach out to you. Once you connect with a coach and select a membership package, you're ready to start On-Ramp. If your home will be our Midtown location, the On-Ramp class will meet for 4-weeks on Monday, Wednesday, and Thursday evenings at 6:30pm. We've structure On-Ramp so you can begin on any Monday. Pretty cool, right? If your home will be at our Norman location, those classes are a bit different and move a bit quicker. When you meet with one of our coaches, they will discuss the on-ramp schedule and times with you during that meeting. Once you complete our On-Ramp course, you'll be ready to jump into any of our classes. You can select any of our class times at either of our locations. Have fun, try several classes, and meet some amazing new friends! As you progress during your first few months, we encourage you to connect with other members before and after classes and jump into our Facebook community groups. We want you to ask a lot of questions from our staff, coaches, and other members. Everyone is passionate about what we do and they are more than happy to provide their advice. As time passes, you'll hear us talk about nutrition, sleep, stress, healthy living, best practices, and equipment before, during, and after classes, as well as through other methods like email and social media. We know that as you start, there will be a lot of information and a lot of questions. That's fine. Don't let yourself get overwhelmed. As long as you consistently attend class, bring your 100% effort, and ask questions, we know that you will be amazed at how far you will come from day 1 and beyond. We encourage you to take pictures and track your progress so you can celebrate how far you have come. Why do I need to connect with a coach? As we mentioned above, whether you're new or an experienced CrossFit athlete, it's helpful for our staff to meet with you to discuss your fitness goals and how we can help you realize those goals. In our experience, this is the best way to do that and to answer your questions. What is the On-Ramp course? On-Ramp is an introductory course that will expose you to some of the movements we do, explain the why behind our program, and demystify nutrition. There are 3-4 weeks where you will meet in a group setting with a coach. 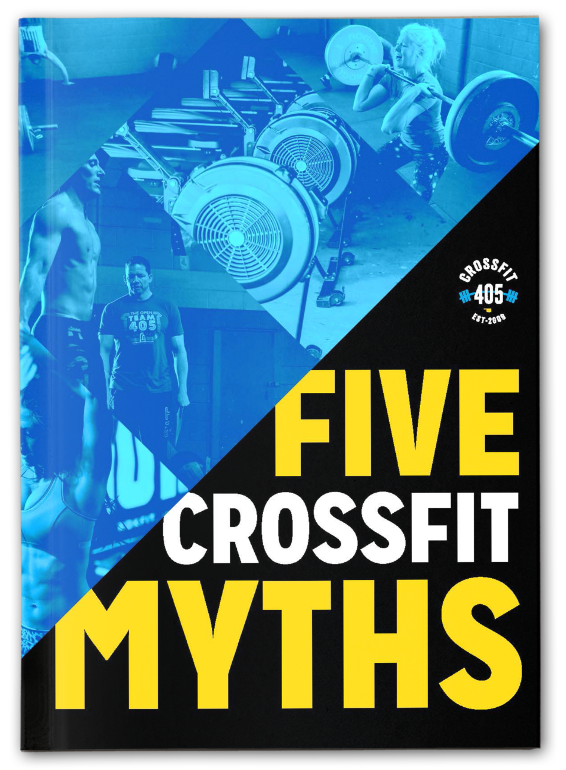 These sessions will teach you all you need to know about doing CrossFit at CrossFit 405. If you've been a member at another CrossFit affiliate for 3 or more months, you can typically successfully jump into our normal classes. We will discuss this topic during your first meeting with one of our staff members. My significant other wants to sign up, can they come? Absolutely! Just have them come to that first meeting if they can, or they can setup their own meeting if they can't make that one. Many of our members have children that come with them during their workouts. We currently do not have supervised childcare facilities or services, but that may be something we could offer on the horizon. For the safety of the children and our athletes, we do not allow children on the gym floor, in the warm-up areas, or on any of the equipment. While our classes are safe for the athletes performing the movements, they are not safe when children are wandering around. Something could be dropped on a child or a member could be distracted and injure themselves trying to avoid a child. For children who are old enough and can be away from their parents for a bit, we do have rooms with windows where children can sit during the classes. This tends to work better with kids 4 and up who don't struggle with separation anxiety. They typically play on tablets, toys they brought, phones, etc. Typically, kids with separation anxiety or 4 and younger may not do well in rooms like this. If you are a parent, we encourage you to come and visit our facilities for yourself to see what might work for your children if you need to bring them.